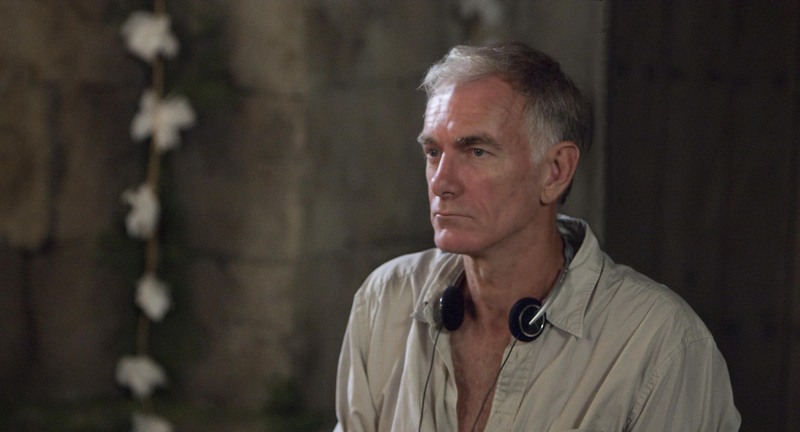 Where have you gone, John Sayles? We need you. This entry was posted in Random Thoughts, TV/Movies on June 16, 2014 by gordonglantz. 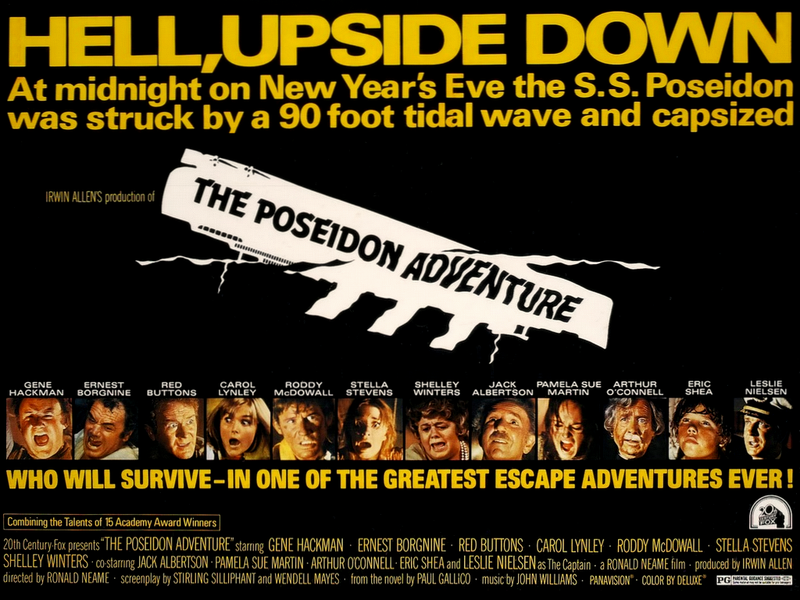 GORDONVILLE — Perfectly slotted between when Sofia came home from school and when she had to leave for dance was “The Poseidon Adventure” — the original from 1972, not the remake (a practice that should be illegal in Hollywood without written permission from the Gordonville high court). At age 7, just about six months older than my little princess is now, I saw this action-adventure flick — cut from the cloth of “Airplane” and “Towering Inferno” made during the era of shag carpets and man-perms — I saw this in a movie theater (no Net Flix back then). Sofia came into the room at the pinnacle scene, when Gene Hackman‘s character — the heroic Rev. Scott — plummeted to his death after making the rescue possible for the other survivors (Come on! It was 41 years ago, putting me a year beyond the statute of limitations on spoiler alerts, so I don’t want to hear it.). I warned her that it was “just pretend” and that I could prove to her by showing her one of the other 98 movies starring Hackman (not an exaggeration, he has 99 credited roles), but she was a soldier undaunted anyway. “When is he going to come back?” she asked, as the cast of mostly “B” actors (save Hackman and Ernest Borgnine, whose interaction were a highlight) were being blow-torched out and spirited away in a helicopter as the credits began to roll. For those who say that history doesn’t repeat, those were the same thoughts running through my young head in 1972, when the song “The Morning After” from this movie topped by the charts (who can name the singer without cheating on Google or IMDB?). It was the first time I saw a bittersweet ending, at least to my knowledge; the first time a protagonist gave the ultimate sacrifice. Likely the same for Sofia. It was meaningful, in a weird way, to share it together. And maybe it was the nostalgia, but they don’t make them like they used to, do they? Bringing us back to the mourning after. I’m not a real big fan of this type of movie. I haven’t been for a long time. Maybe it is because I saw the classics, and got them out of my system, at a young and impressionable age (even though it took today’s viewing to realize some tawdry tricks, like having Pamela Sue Martin and the other actresses, other than Shelley Winters, strip down to nothing early on under the guise of needing to shed clothing to climb a Christmas tree out of the dining area). It made an impression then and now. For all the times I click through all 678 channels and find nothing to watch, this was right on time. This entry was posted in Parenthood, TV/Movies on October 19, 2013 by gordonglantz. GORDONVILLE — So I was rapping to this guy the other day, and I was describing some ordinary situation in my day. I added that it annoyed the heck out of me. But enough “things” that the point is well-taken and met with little resistance. Near the top of the AL – Annoyance List, not American League – standings is the propensity on the nightly news, usually on a Sunday, to list the top movies of the week. The criteria? The box office sales are it, which is really a sad commentary on culture, given the subject matter of the majority of the movies. Want to raise the bar on Hollywood, challenging it to do better than it does with lame scripts and gratuitous violence? Change the approach. Why not list the “best” movies, according to critics, that week? Not an alien concept, really. 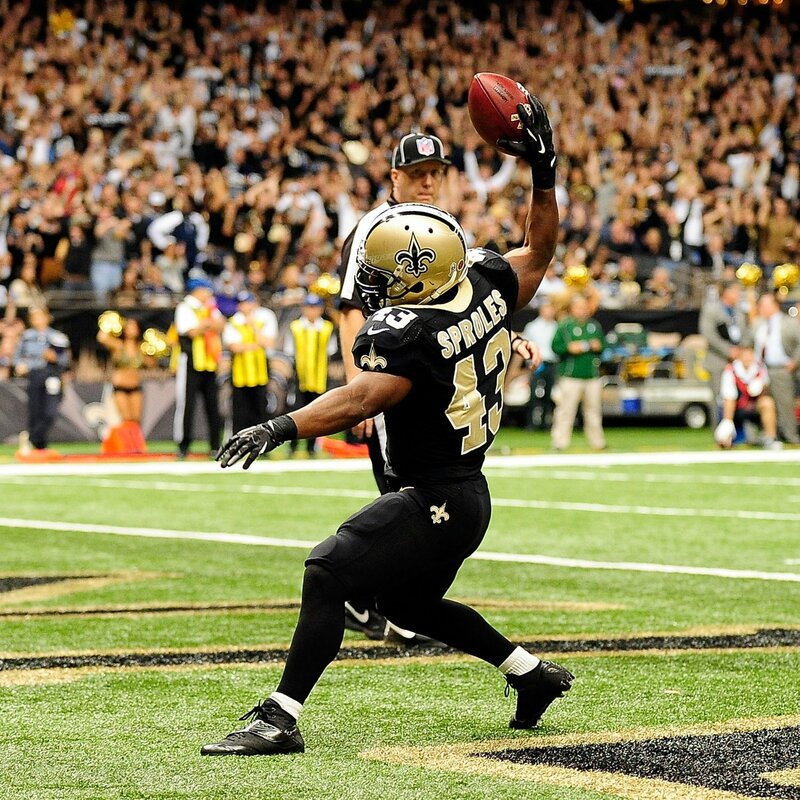 AP and USA Today release Top 25 rankings for college football and basketball – among other sports – on a weekly basis. Those votes are also based on media observations from those with trained eyes. Why doesn’t this happen in the movie universe? Well, if you subscribe to the theory that everything is a conspiracy until proven otherwise, Hollywood is in cahoots with the networks that broadcast these lists of high-budget B movies. It’s not that, say, science fiction cannot have a role in storytelling. At its best, the genre uses an alternate setting to send a strong message. But how often, realistically, does that happen anymore? I have an idea for the perfect sci-fi thriller, as it eerily hits close to home. It need not be set too far into the future, either. Maybe 50-75 years, tops. And it is rooted in today’s headlines. Seems that a day doesn’t go by without hearing of bears infringing upon man’s arrogant eminent domain and attacking and mauling, right? Ditto for coyotes. And we all know about deer daring to get in our way on the roads to the extent that hunting season is cast in a way that is supposed to be for our best interest – and that of the hunted (LOL!). And we are also getting more reports of shark attacks than ever. Some of it is the 24-hour news cycle and Internet bringing this stuff to light more readily, but it’s hard to buy as the only reason. So here is the plot. 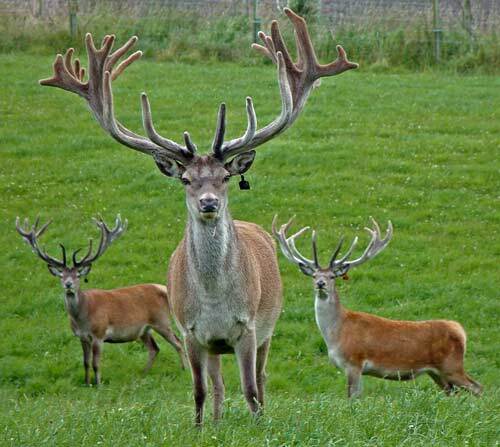 The bucks, with their mighty antlers, decide to get angry about the violence perpetrated against their women and children and begin turning aggressive toward human women and children. The bears, the sharks and coyotes – and maybe alligators and snakes — follow suit. The only way to stem the tide is for the adult male of the future where just about all (49 of 50) are stricken with autism (1 in 50 boys now, in 2013, and the epidemic is getting worse, so it’s not outlandish) to find a way to communicate and work together, to create an environment where we can co-exist with these animals again and reverse the risk factors for Austism Spectrum Disorder – clearly in the polluted air, the food loaded with additives and medication we take in the U.S. at a rate well beyond that of the rest of the planet – to have that Hollywood ending. We can call the movie “The Revolution Starts Now” after the Steve Earle song (I have Steve Earle on the brain after he rocked my world at the Sellersville Theater Thursday night). Nah, too close for comfort. Bring on the vampires and zombies and keep on annoying me. I’ll be OK. It’s just another example of … drum roll … What Is And What Should Never Be. What Is: A study conducted by the University of Michigan – my favorite college football team once each year, when Penn State is the opponent – reveals that making connections, via Facebook, might have us singing the blues. And What Should Never Be: Letting a positive turn into a negative. The point of the study was a good one. Facebook time can cause us to compare our lives to that of others and leaving us coming away feeling like we have bought one-way tickets to Loserville. I have been there, done that. Not gonna lie. For myself, being home a lot this summer with Sofia has led to time interacting on Facebook, often engaging in political debates and just touching base with people I am better for knowing. It’s just a phase, though. I have gone – and will go – through others where it’s a secondary activity and not my immediate connection to the outside world. We just have to take it for it is, and stare the truth in the eye. Certain people, for whatever reason – who and what they represent in relation to our own life and times, and ensuing trials and tribulations – can put us in a funk by paging through their pictures or status posts about how they are in this place or that enjoying wine and cheese with friends. But this is an onion that needs peeling, the study cautions. In actuality, it is the people who “socialize the most in real life” that are most prone to these oft-unhealthy comparisons. I would have to say that more good than bad has come of entering the Facebook universe that allows room to breathe, despite 1.1 billion co-inhabitants. What Is: Just to prove that man does not live by Facebook alone, a more recent discovery – Netflix – has opened up new horizons. And What Should Never Be: Having a closed mind. I had heard how Netflix reinvented itself for years, but figured the likes of HBO had me covered in the quest for inspiring and intriguing entertainment. Even knowing that Netflix had an original series starring Steven Van Zandt wasn’t enough. But then I got an iPad for my birthday in March and I took the plunge, figuring seeing the likes of “The Wonder Years” and “Star Trek” – while playing catch-up on “Mad Men” — was worth the price of admission. Turns out, I went off in a completely different direction. First it was “Sons Of Anarchy.” Then, a friend told me about a show called “Freaks and Geeks” about high school in the early 1980s, which is when we were in high school. The only bad part of the show was that it only lasted one season and left me lamenting what could and should have been. Next, I turned to the Van Zandt vehicle, “Lillyhammer,” and got a kick out of him pretty much reprising the role of Silvio Dante (“The Sopranos”) in a bizarre setting (a New York mob guy in witness protection in Norway). The cool thing about Netflix is that, like Facebook, it takes a snapshot of what you like and suggests more ideas. Then again, “Boardwalk Empire” returns Sept. 8 on HBO. What Is: The aforementioned Steve Earle – even though his show ended too late to stay in line for an autograph, which I may live to regret – got me thinking about our place and time in history (including the story line for the movie, as he spoke of his toddler son with autism). 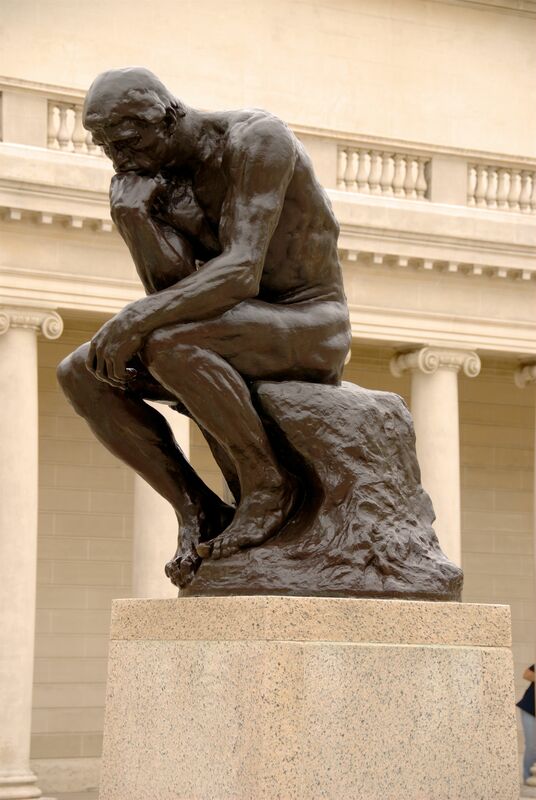 And Should Never Be: Not turning the deep thinking to action. Earle explained that all songwriters of his generation follow in Bob Dylan’s footsteps, whether they want to admit it or not (don’t the ones who refuse to submit just annoy you?). He continued to explain that Dylan modeled himself after Woody Guthrie, whose legacy was pretty much creating the realistic soundtrack of The Great Depression era. Earle added that Dylan would be the first to admit that he never experienced America going through the hard times as seen through the eyes of his hero, Guthrie. Earle, who has been touring by bus for a while, said that it has struck him that the America he is now seeing is as horrific as that of Guthrie’s time. I blame Bush, you blame Obama. Others point to Wall Street. And maybe we should just look in the mirror, blame ourselves and start doing something about it. After Earle and his band – The Dukes – aptly ended their show with “The Revolution Starts Now,” the lights went up and a recording of Guthrie’s “This Land Is Your Land” (should be the national anthem, but don’t get me started on that) began to play. This entry was posted in Music, Politics, Slice of Life, TV/Movies on August 25, 2013 by gordonglantz. Below dig the deep thoughts (well, mostly) of an award-winning journalist while in exile. This entry was posted in Gun Control, Music, Parenthood, Photos, Politics, Race Relations, Random Thoughts, Slice of Life, Sports, TV/Movies, Words of Wisdom on August 15, 2013 by gordonglantz. Wrote this immediately after the passing of the great James Gandolfini (Tony Soprano) a while back. At the time, I couldn’t bring myself to watch “The Sopranos” but I’ve come to realize that it wasn’t the best way to honor his memory. GORDONVILLE — We all need our dreams, and one of mine was that “The Sopranos” would return one day, either to the big or small screen. The dream ended this past week when the man who made Tony Soprano a household name, James Gandolfini, died at age 51 of a massive heart attack while vacationing with his son in Italy. For all the times I have been touched, and touched deeply by his acting, I remain in stunned silence. Not much in the way of tears, or overt sadness. That might come when I watch the show again, which I, myself, have been unable to do. Right now, I probably won’t make it through the opening credits. Right now, I’m just trying to make it through one of the most difficult columns I’ve ever had to write. It was much the same way when I lost close family members – my father (2008), father-in-law (2010) and stepfather (2011) — during these intervening years. It took a while for the reality to set in. 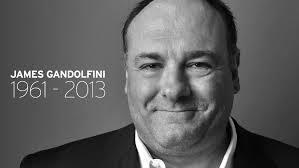 And mock me if you will, I almost feel like I lost a member of my family in Gandolfini. “The Sopranos” was in perpetual syndication in Gordonville. Perhaps, I craved that sameness amid the many changes in my life – good and bad, sad and glad, personal and professional — since it first aired in 1999. Perhaps, it’s a mixture of all the above, along with the fact that I saw a lot of myself in Tony (sans actually whacking people). I have been known to have a short fuse, but I also have a big heart – exemplified by a love of four-legged creatures displayed by Tony — and expend a lot of needless energy worrying what other people think. When he described himself as “the sad clown,” I completely caught his drift. The most amazing times were the first viewings of episodes, on Sunday nights, when I would be thinking exactly what Tony was thinking before he made his gestures of war and peace, and understood the indecision that followed his decisiveness. Part of the immediate appeal of “The Sopranos” – when I first caught it during one of those free enticement weekends of HBO — was that the star, while captivating, was not a dashing leading man in the traditional sense. It gave it brevity and levity. And it shot to No.1 with a bullet in my heart, my soul and mind. I soon took to wearing jogging suits and using the verbiage. It gave me a shield for my sensitivity. In 2007, the same year my daughter was born, “The Sopranos” aired its final episode, with the screen suddenly fading to black while Journey’s “Don’t Stop Believin’” was halted at “don’t stop.” I defended it publicly, but secretly found it a bitter pill to swallow. Still, I had the body of work — like that of The Beatles, Shakespeare or “The Brady Bunch” – to rely on. And, like fans of the Fab Four – up until the death of John Lennon — I held out hope for more. My little lullaby: The final show’s ending could mean anything. Maybe Tony didn’t die in that diner, even though the fade-to-black hint was foretold in a prior episode. Maybe Silvio (Van Zandt) will come out of his coma. Maybe Chase, the show’s visionary, won’t take himself so seriously and will create a new world around Tony and Carmela (brilliantly played by Edie Falco) by using top-shelf Italian-American actors that would be at his disposal for a feature film or HBO mini-series. And maybe Gandolfini, who turned Tony into the character that stirred “da gravy,” would wake up one day and have an epiphany. Maybe he would realize that he was meant to play Tony, not second bananas in big-budget movies, and call Chase and get on the same page for a new chapter. While it seemed less and less likely, “The Sopranos” never let me down. The show became my beacon. Nothing before it, or since, will ever take its place. Part of its brilliance is that it never gets old. It has kept me grounded, and kept me thinking. I don’t drink, gamble or smoke. I don’t even golf or play cards with the guys. The more I allegedly evolve – or at least change – the more I glean from watching it on a continual loop. And Gandolfini is the main reason it achieves such lofty status. A night or two before I learned of Gandolfini’s passing, I watched an episode on HBO Signature. It was the one where the inner-circle holds a drug intervention for Christopher Moltisanti (played to perfection by the unheralded Michael Imperioli). Christopher lashes out at each person in the room, including Tony. He tells him that he is going to die of a heart attack “before 50” if he keeps eating the way he does. Ironically, Gandolfini – in a rare interview – was quoted as saying it would be “kind of lame” if the show ended with Tony dying of a heart attack. Instead, that’s how the dream ended. As much as Hollywood thrives on remakes, the curtain has now fallen on “The Sopranos.” The greatest compliment to Gandolfini is that if they made a remake 50 years from now, it wouldn’t work. No one can replicate his masterful portrayal. In that sense, he was a true original. He takes that to his early grave. I am not one of Gandolfini’s loved ones — a group that includes both family and his many professional associates — and I can’t pretend to imagine how they feel. But I count myself among his legion of enduring admirers. Together, in ways we can’t yet fully express – or shouldn’t have to explain to those who “don’t get it” – we mourn his loss. And I mourn my lost dream. This entry was posted in Slice of Life, TV/Movies on August 14, 2013 by gordonglantz.